A galaxy 80 million light years away floats in the blackness of space near a star in the Big Dipper. This is Messier 109, a bright spiral galaxy in Ursa Major, and within an eyepiece and camera field of the bright naked eye star Gamma Ursa Majoris. That’s the “bottom left” star in the bowl of the Big Dipper, so this is an easy galaxy to find with a telescope in the current spring sky. Technically, this galaxy is classed as a barred spiral because of the way its spiral arms emerge from an elongated bar at the core of the galaxy. It is the brightest member of the Ursa Major Cluster of some 80 galaxies. Springtime is galaxy time, no matter what hemisphere you live in. But for us in the northern half of the planet that means April and May. 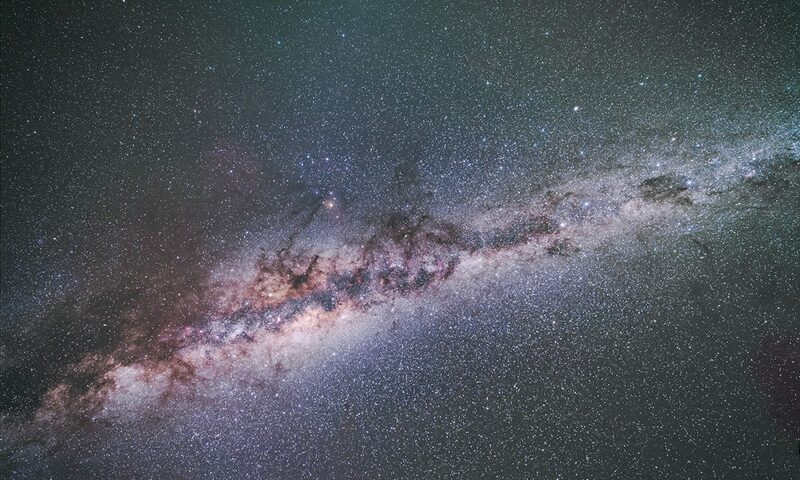 When we look up at this time of year into the evening sky we are looking out of the plane of our Milky Way galaxy and seeing into the depths of intergalactic space, populated by thousands of other galaxies. Most of the bright ones, like M109, are 20 to 100 million light years away. 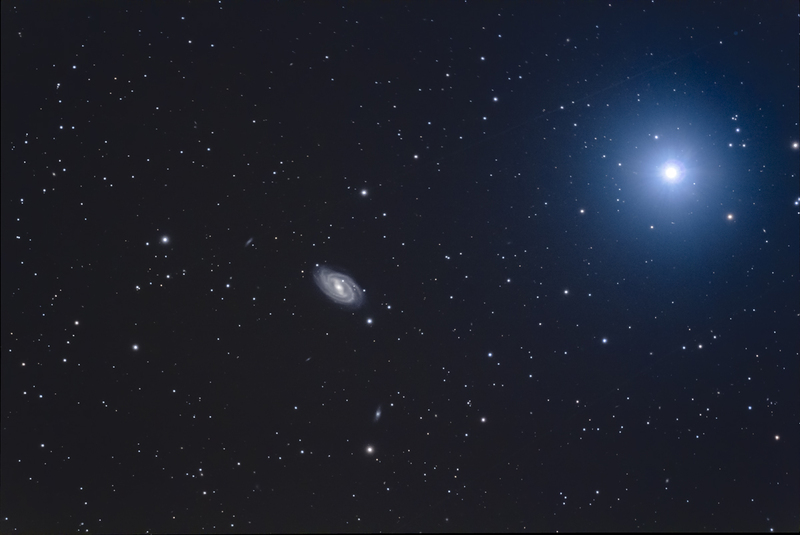 At its distance of 80 million light years, M109 lies a million times farther away from us than Gamma Ursa Majoris, a nearby blue star “just” 80 light years away and in our Galaxy. I shot this last weekend though my 5-inch refractor with the Canon 60Da camera. Even with the telescope’s 800mm focal length it isn’t enough to really do justice to the intricate detail in galaxies like this. But the view does set the galaxy into its context, floating in the blackness of space. Aesthetically that is a fine image, Alan. Thanks for sharing it. I have added it to my galaxies file. I have noticed that you use Cannon now and not Nikon. Also I see that you use a refractor and not your Questar or Celestron. Was their a major reason for the change? Hi Ivan, The reason is 4 decades difference in technology! Canon is the leading brand for DSLRs for astrophotography and apo refractors are fast, flat and sharp for shooting.